It is now becoming crystal clear, the reason behind Dr. Richard Anane’s consistent attack on Nana Akufo-Addo. The latter is a man Dr. Richard Anane believes would never become president not even in Ghana; but in the next world. 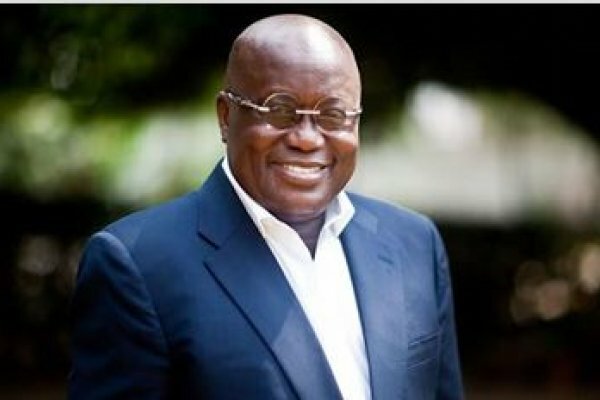 To simplify issues, Dr. Richard Anane is of a strong opinion that as long as Nana Akufo-Addo breathes in air, he would never be elected as president of Ghana and can only be given that recognition in the land of the dead. Peacefmonline.com received this information from Mr. Andy Owusu, the national coordinator for the Free Educational Movement and a known figure in the New Patriotic Party. According to him, he got the opportunity to interact with Dr. Anane in 1999 at Bolakesemu in Kwadaso whilst running an errand for the party. “We were about ten in number and Dr. Anane promised to give us jobs when ex-president Kufour comes to power…Frank Amoako, currently the Kwadaso Constituency Organiser and Michael Teye, were all present at that meeting…Dr Anane said after Kufour, he (Anane) will be the next president and I asked him what he thought of Nana Akufo-Addo. He told me Nana Addo would be president in the next world and not on earth and added that he (Nana Addo) would be an old man after ex-president Kufour exits power,” Mr. Andy Owusu recounted. Not too long ago, the former Roads Minister in the erstwhile Kufuor administration was out blaming the two-time presidential candidate of the party, Nana Akufo-Addo for the friction between him and ex-President John Kufuor. He alleged that Nana Addo and his campaign team in 1998 approached party elders including the late Bernard Da Rocha and then party chairman, Samuel Odoi-Sykes to ask Kufuor to step down, although he (Kufuor) had been voted as flagbearer to lead the NPP in the 2000 elections. According to him, Nana Addo’s team approached the party leadership with the reason that John Kufuor was not in good health therefore, allowing him to lead the party in such a condition could have dire implications. To this end, Mr. Andy Owusu asserts, anytime he recalls what Dr. Anane told him in the 90’s, he understands why the latter is so hell-bent on ensuring Nana Addo does not get to lead the NPP and become president.